I am very, very new with a WP blog (learning curve! ), it is set on private with just a small amount of content. I do plan to monetize in the future and now see where there would be limitations. I have the Premium .com plan, and now see that it does not allow access to plug-ins and outside templates. I understand that SEO is very important for visibility and gaining followers which then shows affiliates that your blog is of interest, etc., and a plug-in assists with this, correct? ANYWAY….. I will probably use your assistance to migrate. But, one question: How will WP know to stop billing me for annual service and for me to pay them just the $13 annually for my domain name? Or should the domain name move also, if that is even possible? And, will my controls/dashboard be similar or the same? I have pulled my hair out a few times learning already! Thank you in advance for your response. Once you have migrated your website and pointed your domain to your self-hosted WordPress.org website, you can then go to manage purchases page to make sure that auto-renewals are turned off. Contact WordPress.com support to make sure your are not rebilled. After that you can just wait for your subscription to expire. You can keep your domain on WordPress.com and pay them annual domain renewal fee. You can also move it to your new hosting provider. Self-hosted WordPress.org websites have a slightly different user interface but some parts of the admin area are similar to WordPress.com. obviously something went wrong I only get my titles in my new wordpress. I don’t get the blogpost itself and no photo’s. What do I do? have you completed uploading all of the content? it could be a faulty database setting. which part of the process are you at? maybe i can help. Hello and thanks for the great article – it is very handy. I migrated my blog from a wordpress.com site to a wordpress.org site. I have moved my followers also and can see the old comments on my posts at my site. The one thing missing is the likes from my old site on my posts. Are they gone now from the content, only existing on the old site, or is it possible to transfer them across too? I transferred my WordPress.com to self-host on a different server. I thought for some reason that after the migration I would have my original set-up at WordPress.com and then my new set-up with new theme on the new server. What surprised me was that the WordPress.com site I had is now updated with my self-hosted site. What could have caused this and better yet, if I cancel or delete the WordPress.com membership will it affect my new site on the new server? I am totally new to this. I found wp.com first and saw my favourite theme from wp.com. However, I am going to use wp.org and start creating it for my website but I cannot find my fav theme from wp.com in wp.org. So what should I do? Hi. 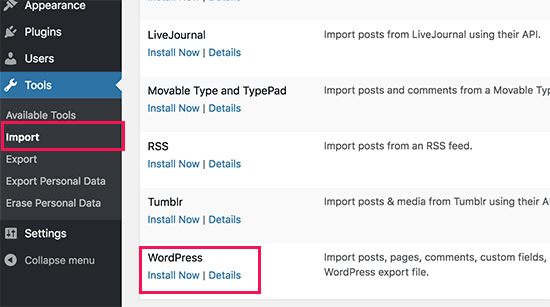 If I purchase a premium theme under WordPress.com, when I do migrate to WordPress.org – will my premium theme be exported as well? I created an XML file and tried to transfer my site but I got an error message that all my media hadn’t been transferred. Is there a way to fix that? You can run the importer again. It is smart enough not to import content already imported. If it fails to fetch all your media, then you may need to import those files manually. I am trying to export my XML file from WordPress.com to create my own website without WordPress. But I have problems with the XML from WordPress.com and the SQL from WordPress.com (I already import the XML to get a SQL). Do you know if we can leave WordPress and use our DB, or if we have to create a new one and do Htaccess redirection? Hi, I wanted to change my wordpress.com site to wordpress.org so I rushed ahead and cancelled my premium account and deleted the wordpress.com site. I think now I have lost my domain name. Have I? Is there anything i can do? Domains are registered for yearly terms. 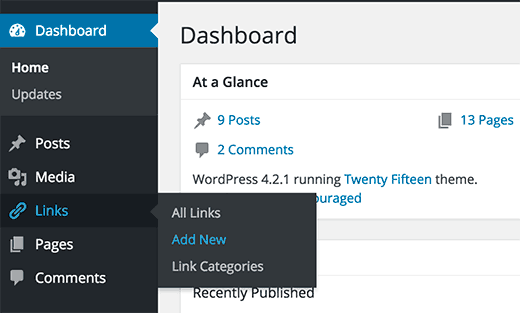 You can still login to WordPress.com dashboard and manage your domain. You can point to your new hosting provider. I think I deleted everything. The domain name is no longer available. How do I ask wordpress if they can release it to me? The worst thing is, I am doing this for a friend, so really I have lost his domain name. I feel terrible. I did get a warning that I wouldn’t be able to use the domain again, but i thought it meant that I wouldn’t be able to create a new wordpress.com site with that name, not that I’d never be able to register it anywhere ever again. Please contact WordPress.com support, they will be able to guide you. This is great. I’d like to utilize the setup service and transfer my wordpress.com site/blog to wordpress.org, (including bluehost hosting). I’d like to keep the same domain to maintain traffic levels. 1. I have a premium theme from wordpress.com. Will that transfer? If not, can I repurchase the same theme for the new site? I checked and that theme is available for purchase (but ideally i’d like to keep it if I already paid for it under wordpress.com). Either way, does the setup service include helping me get the theme setup? 2. I have lots of links within my site. They’re links from blog posts to other blog posts, links from blog posts to pages, etc.. Can all of those permalinks and subdomains maintain the same URLs so that all links throughout my site/blog continue to operate after the migration? Even on older posts that link to other old posts? 3. How much downtime should I expect in the migration process? Can the old site still be operational while the new site is being set up? How does that work? Should I plan to do it over a weekend (when I have less traffic)? I am interested in keeping my same domain. Once I get these questions answered, i’m ready to move forward. Thanks for your time. Please send your questions using the contact form. Include your blog’s address and one of our team members will take a look and get back to you. Yes, you will be paying the yearly domain renewal fee regardless of where you website is hosted. If I won’t use the paid SiteRedirect from wordpress.com, will search ranking and traffic be affected tremendously after migrating? And if no redirect (just export into site.mydomain.com) will the old site.wordpress.com be gone? Yes, initially it will affect search ranking and traffic. However, if you unpublish posts on your old WordPress.com website then your new website will start ranking for some of those terms. It may take a while for you to recover all your search rankings and traffic. How long does your guys free setup take? It takes 2 business days after you send us your purchase receipt. I am trying to migrate my blog content from wordpress.com to my self-hosted wordpress.org site. I ran the export/import process (which I’ve done before without any trouble), but for some reason, the importer on my self-hosted site is only importing 6 of my 37 published posts. I looked through the XML file to see if perhaps it downloaded incomplete, but everything is there. The importer successfully added my pages, menus, tags, categories, and six of my published posts WITH their attached images. But i can’t figure out why it stops and doesn’t finish importing the rest of my content. Is there another way to get that information loaded into my site? Feel free to run importer again, it doesn’t import duplicate content. If that doesn’t work, then you can try generating a new XML file from WordPress.com. This time before running the export tool, send the posts you have imported to the trash. This way those posts will not be included in the new export file. why isn’t anyone answering this great question? Thanks for pointing out, we just replied to the original comment. If you had custom domain on WordPress.com, then you can save those views by using JetPack plugin on your self-hosted WordPress.org website. You will need to ask WordPress.com support to transfer them for you. What do I need to do if I would like you guys to transfer my wordpress.com to a bluehost?? How long will it take and will my subscribers also be transferred?? Please see our free WordPress blog setup page for details and feel free to contact us using the form on the page. Hi! Thanks for the how to first of all. I have a question. Can I do this if I have already a domain with wordpress.com? 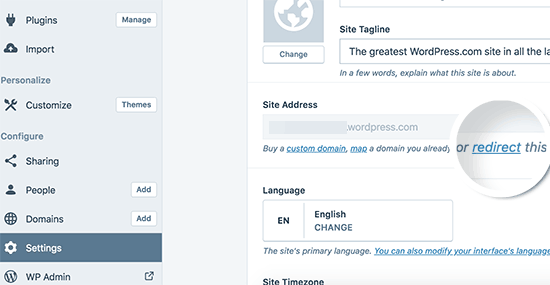 Yes, you can point your domain to your self-hosted WordPress.org website by changing its DNS settings. If i just change the nameserver from WordPress.com to bluehost.com , then i will have the same domain and url at my wordpress.org blog? or i have to do also redirection from adress site with extra cost 13 euros.Because i started my blog through wordpress.com, paid the personal package and my domain so i have a domain and my blog, so i am wondering if i can use the same url on my wordpress.org so i can delete my account at wordpress.com and keep only the blog at wordpress.org with bluehost web hosting. 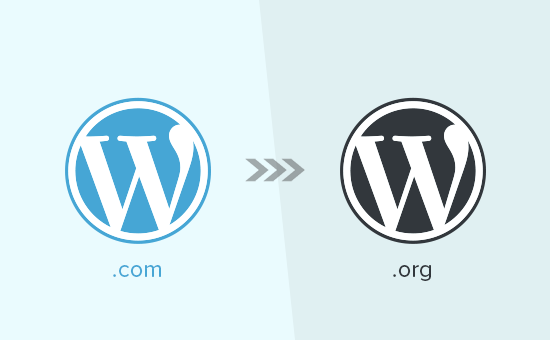 You can transfer the domain to BlueHost and the domain will be the same, the redirection service is to make sure any links in the WordPress.com reader points to your site at the new location. Am I able to transfer my WP.com premium plan to WP.org? I purchased it months ago and cannot cancel. Yes you can transfer from WordPress.com to WordPress.org at any time. 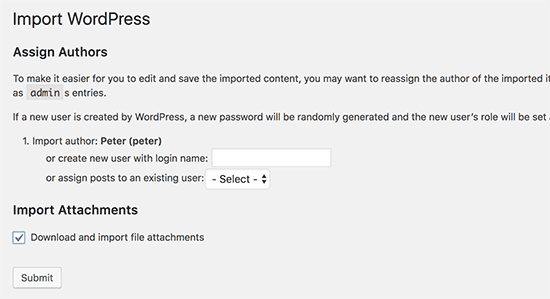 Transferring your website to WordPress.org will not cancel your account and you can keep it until it expires. See our guide on how to start a WordPress blog. You can also take advantage of our free blog setup service. I have the same question as Paul. When moving from WP.com to WP.org is it then possible to keep the same theme? Most WordPress themes available for WordPress.com websites are also available for WordPress.org websites. You will need to search for the theme to see if it is available for WordPress.org websites. This article really helped me a lot. I managed to transfer my wordpress.com website to Bluehost web hosting with no glitches at all. Your guides are really awesome. 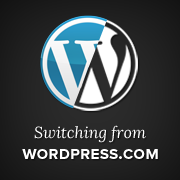 I am going to switch from WordPress.com to WP.org. I have changed the DNS in my ISP so I can use my domain in WP.com If I switch to WP.org, will I have to switch my DNS in my ISP again? I once used Dreamweaver but recently switched to WP.com. Now that I realize I can use WP.org for more flexibility, I would like to switch. Thanks. Yes, in this case you will make the DNS changes in your ISP again. Hi – I am totally new to this and have not really launched a blog yet other than to play around with writing a home page. I signed up with Bluehost and have a domain name through them. WordPress was automatically installed via Bluehost. However, I noticed that it is WordPress.com and having done some reading, I want WordPress.org as I want to be able to use Adsense, Amazon Affiliates etc etc. But it looks like from everything I’ve read that if you sign up via Bluehost, you should automatically get WordPress.org. Thoroughly confused. I’ve tried downloading wordpress.org on my iPad but it doesn’t work. Do I need to do it on a full laptop, mac or PC? And considering I don’t really have any content to move, is it complicated to get started? The only reason your domain may still be pointing to WordPress.org if you previously used it on a WordPress.com website. In that case you will need to point your domain’s DNS settings to Bluehost servers. I recently started a blog on wordpress.com and didn’t do enough research (I was bit in a hurry to have it up and running). Searching for several help topics I’ve landed on this site couple of times already. Now I’ve seen this option. Has been 24 days since I bought a “Premium Plan” with WordPress, but afterwards I realized that I’m not able to install plugins. The basic HostGator plan allows to install plugins and do some extra configurations that wordpress.com do not allow? If yes, how much time take your “Free Blog Setup” service, can I still be reimbursed from the Premium plan I bought on WordPress.com? Thanks. Yes, basic HostGator plan allows you to install plugins and do other things you cannot do on WordPress.com premium plan. You can ask for a refund with in 30 days of purchase. Domain names cannot be refunded after 48 hours of purchase. I started with a WordPress.com blog a couple months ago. Two days ago, I decided to move ahead with self-hosting through Bluehost and got my posts imported, my theme changed, and everything. But now when I log in through bluehost and go to wordpress.org, all that comes up is a 0 for my webpage. I can still type in my domain and get to my wordpress.com blog. What’s happening? It seems your site’s domain name is still pointing to WordPress.com’s name servers. You need to login to your WordPress.com account and then change your domain settings. Point the name servers to Bluehost. I wanted to know if I get the same theme on wordPress.org or will it copy it the same, if I switch to .org ? Secondly, Can I change the structure of permalink in wordpress.com site? I have a business upgrade, If yes, then I don’t mind to continue using .com site. Please suggest. I discovered this immediately so I didn’t need to import anything. It would appear I’ve followed all the other steps, I added the domain to Bluehost, I setup a new webpage through Bluehost, I’ve set my wordpress.com page to private. And set the .com DNS to point to the Bluehost DNS. The problem is the domain URL still points to the .com default site that you get when you initially create a wordpress.com account. And I have not found a way to get it to work. DNS changes take some time to take effect. Sometimes it can take up to 48 hours for changes to propagate across the internet. Hi, thanks for all the great info you post and publish…I use it all the time! I’ve set up a new site in WP, have many pages, and I’d now like to move my .com posts over to it. I’ve set the front/home page set up as a static page…home page for the site. And my blogs to appear on a different page. I think I have that set up correctly. 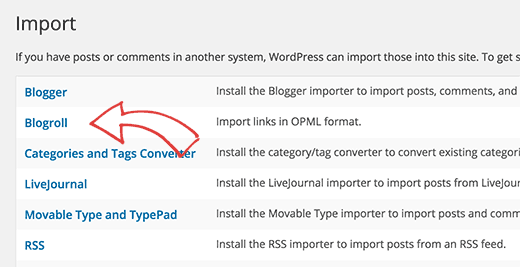 But looking at the export/import process, will WP know to put my blogs on the page I indicate as my blog page, rather than on the front/home page? I’d hate to go through the process only to discover that all my imported blogs were in the wrong place. i have completed the steps. I don’t know what to do now. I see something on the blog page, but am stymied now. Is there a next step I am missing? On your .org website, login to the admin area and then go to Posts to see if all your posts have been imported. If they are then you probably need to setup your theme to display them. Head over to Appearance » Customize page and then click on ‘Front page settings’ tab. There you can select front page to display your latest posts. Hope this helps. Hi – I transferred a wordpress.com blog to a wordpress.org blog back in 2016. At the time, I changed the domain name. Fast forward to now – I am in the middle of a server migration, and I’ve realized that I don’t have “access” to my domain name. As in – I know that I purchased it through wordpress during the change in 2016 to .org (via Wild West Domains), but I’d like to transfer my domain to a different company so that I can best manage it. I cannot find any information on how to do so, and I would so so helpful for some advice. I called Wild West Domains and while they confirmed that they do own the domain name, they are only the “back end host” and they informed me that I need to get in touch with WordPress to obtain the EPP code so that I can properly transfer my domain name. Please help! Thanks! You need to contact the WordPress.com support. They will be able to provide you step by step instructions you need to follow in order to generate the EPP code. Try running the importer again, it is smart enough to avoid duplicates. 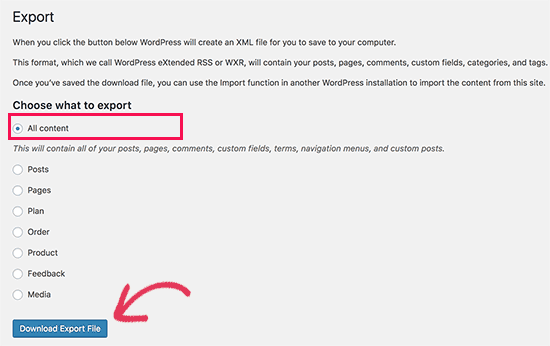 To troubleshoot this issue, try exporting your data from WordPress.com and then open the export file in a plain text editor like notepad. See if your missing posts are inside the file. If they are not there, then please try exporting again. Thanks for the response. So, I tried importing about 10 times….and it would import like one more post or page sometimes, and a few more photos each time. But no matter how many times I do it again and again, not all the content is importing. I just checked the export file as you suggested, and I do see information in the file for blog posts and pages that are not showing after my import attempts…but I was not able to tell if the file indeed contains ALL my posts and pages. I also did try exporting multiple times from both the wp-admin interface (which gives me 729kb file) and the blog editing interface (which gives me a 1.1mb file)…. and I tried importing each file multiple times. I also tried exporting just blogs or just pages and then importing those smaller xml files individually to see if that would get all the content, and it still does not successfully import all the content Not sure what else to try. Any ideas? Thank you for the support!! This has been really helpful. Any idea why I only got 26 posts imported instead of 46? Feel free to run the importer again. It is smart enough to avoid duplicate content and will be able to import remaining posts. Hi! I am trying to do this now by my smartphone. I am onto step 2 but feel I am stuck. Is it possible to do all this using smartphone and the wordpress app? Would you happen to know how the switch would affect a Gmail GSuite subscription purchased through wordpress.com? I currently have the wordpress.com premium plan with custom domain name and a two gmail accounts for business associated with the custom domain. If you continue to manage your domain on WordPress.com while hosting your site elsewhere, then it will keep working. However, if you transfer the domain to some other domain registrar or your web host, then you may need to setup the DNS records to point them to Gsuite. Can I still keep my old WordPress.com blog for a while AFTER I have moved it onto WordPress.org? Or will my old WordPress.com blog disappear completely after it’s been moved? Just trying to get myself mentally ready for the big move! You can keep your old WordPress.com site, it will not be accessible but you can still access it by logging into your WordPress.com account and visiting the WordPress.com dashboard. Hi Nickeisha, I am having the same issue! Did you ever find a solution? Thank you so much for this, was very helpful! Hi, could you clarify something please? I am with wp.com i have bought new hosting with siteground (using your affiliate link for transporting my site) But… if I want to build a new site and theme over on site ground, how do i do this while still keeping my wp.com blog live until the new one is ready?? I want to use all of the same posts and images and logos but its going to take me at least a week to build the new site and where do my readers go in the meantime? Thanks for any help! 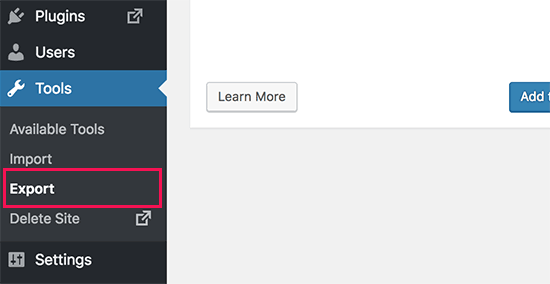 If you haven’t yet moved your WordPress.com site to Siteground then you can continue using it. Meanwhile you can build your site using a temporary subdomain. Please ask the support staff at Siteground and they will set it up for you. I had my .com site content moved to .org with Siteground last night. They migrated the content over but the domain is not being pointed to their servers yet. Can they set up a temporary domain still so I can work on it before it goes live over there? My theme didn’t transfer so I don’t want it to go live unformatted if possible and am considering purchasing a custom theme to apply first. Yes, you can contact their support via chat and they will set up a temporary domain so you can access and work on your website. How do I do this, I have not set up anything yet, no theme, and I have not Paid for WordPress. I have added some plugins. What do I do next, I am really confused, as the above shows how to move everything over, but I have nothing to move over (I think) at this stage – well I tried and didn’t get any pages looking like you had. Do I have to pay for WordPress first? If so for how long? Can I keep the theme I am using on WordPress.com? Some of the themes on WordPress.com are also available for WordPress.org websites. Thanks for the insights! Does migrating the old data to new website take up the memory space on my new website? The reason why I upgraded to my own domain because I run out of space for my old WordPress.com. So if I were to migrate my WordPress.com to .com, will it affect the storage space? Hope you can understand my question. I am not familiar with technical jargons. Hope someone can assist. Thanks!!! I had no idea there were 2 different wordpress sites. I’ve been blogging at wordpress.com for years, thinking it was the only one. I’ve begun creating a website for a new business on wordpress.com and want it to be a membership site. After a bit of research (too little, apparently), I found that to do this, you must have the ability to add plugins, and the only way to that is to get the business plan, so that’s what I did. Now I’m seeing everywhere that I STILL can’t do it on wordpress.com. Have I just thrown away my $279? You can cancel WordPress.com plans within 30 days of purchase for a refund. Hi, I’ve been using WordPress.com for my own blogsite. I recently purchased hosting from a web hosting company. I followed the steps on this page but when I access my domain that is connected to my wordpress site, it;s still showing the default wordpress.org site. Not sure what I did incorrectly. If you had a custom domain on WordPress.com, then you’d need to point that to your new host. If you are using a new domain, then you will need to import your content from WordPress.com. Please see the instructions above. Hi there! I’ve been using WordPress.com for about four years, but I’m not good with the terminology. I have a current web site on one domain, which is where I want to eventually have a combined web site/blog using Photocrati on WordPress.org. My current blog is on another domain (not a WordPress one) on WordPress.com. However… I would like to take advantage of the free 60 day trial with Photocrati and create the new site tucked behind my current web site – so something along the lines of realwebsite.uk.com/test_area – so I can get it how I want before going live. I did something like this creating a site for a charity a few years ago. I hope I can do the same with this. Could you give me brief instructions on what I should do please? I’ve already downloaded Photocrati, but I’m already stuck. Thank you! I am trying to hange the DNS server from my wordpress.com account to my new hosting service which is siteground (wordpress.org) and it is saying the DNS server cant be found? I asked siteground directly and they provided me with the DNS server addresses. What did I do wrong? Thanks für your help! It seems like you were using JetPack’s portfolio post type on your WordPress.com blog. Try installing free version of JetPack on your self-hosted WordPress.org blog. After that enable the portfolio module and then try to import your xml file. 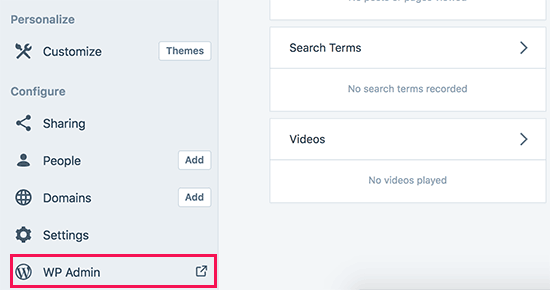 Once you have imported the content successfully, you can use any other portfolio plugin and convert jetpack-portfolio post type to any other post type in WordPress. It says that I need to install the JetPack plug in to migrate my existing subscribers to the new wordpress.org site. Can I install the free version of Jetpack to do this? 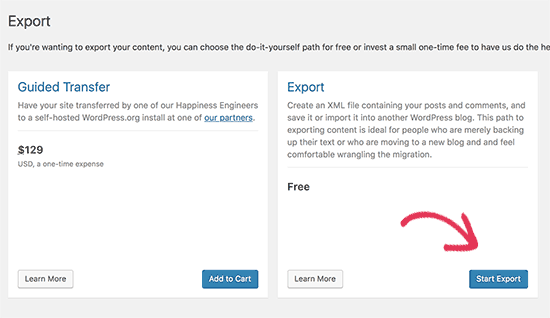 Yes, you can install the free version of JetPack on your self hosted WordPress.org site. I want to switch to WP.org. My website is… Will my theme stay the same if I transfer it? Many of the themes used by WordPress.com websites are also available for self-hosted WordPress.org sites. You’ll need to Google your theme name and you may be able to find it on WordPress.org as well.